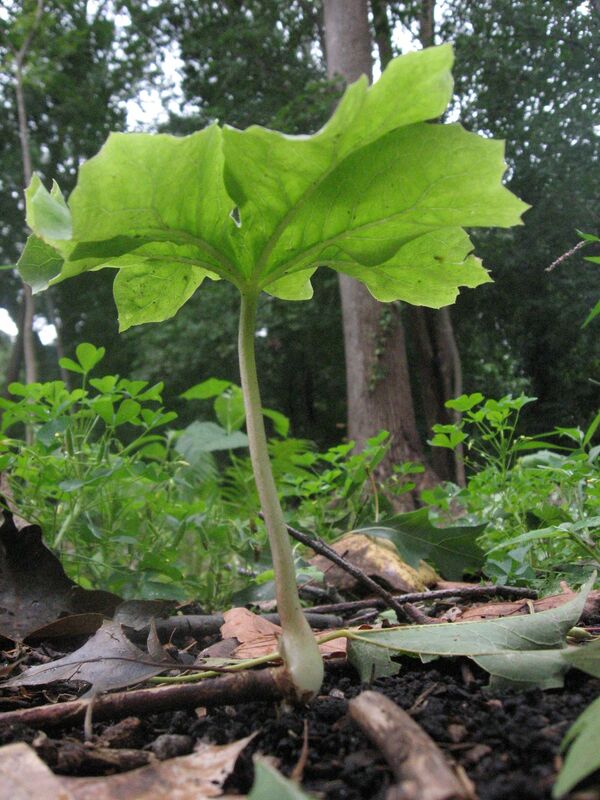 A MAYAPPLE? ISNT IT THE LAST DAY OF AUGUST? Just a few hours shy of September and there is a fresh Mayapple growing at the end of Morris Park Road. 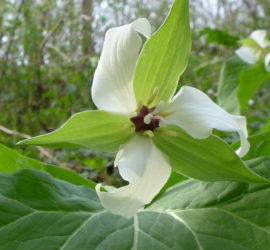 This is a plant associated with early Spring, usually it grows in March. Puzzling. Never have seen this before. We have watched the Mayapples wither away and go into dormancy this summer. The ones that have made it to fruit and have not been eaten will feed the Box turtles, who will then spread the seeds. A few remaining ones are to be found in the fenced-in yard, dropped to the ground, with their fruits laying up against the moist soil, rotting. 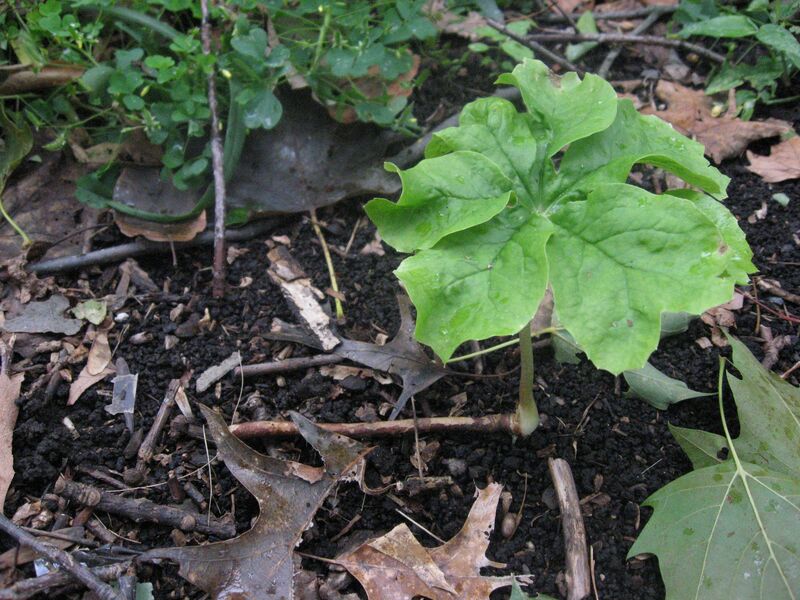 So to have a fresh Mayapple grow is a surprise. This will be a memorable sighting. Why? Has anyone else seen this before? And in the past few days, fireflies (usually seen in June) have been active in the evening! There have been some changes in the area this season. Numerous Norway Maples have been removed from the immediate area, as well as diseased Ash trees, all of which had provided shade for many years. The Norway Maples, an invasive species, was threatening the nearby high-quality forest, and the diseased Ash trees were threatening life and property. Perhaps the changes in light conditions have resulted in these abnormalities. Please post any comments you may have about all of these developments in Morris Park. What do you think? It must be an Augustapple, instead of a Mayapple. quite an interesting find, Sean. It appears there are several species of fireflies, and even impostors! The season for the Photinus Marginellus is late June through late August (not sure what is meant by “season” though). I am now very curious and wish to learn more about fireflies. Isabelle, thank-you for your researching this. Fireflies are fascinating. We will have to watch them more closely. Too many insects, not enough time! 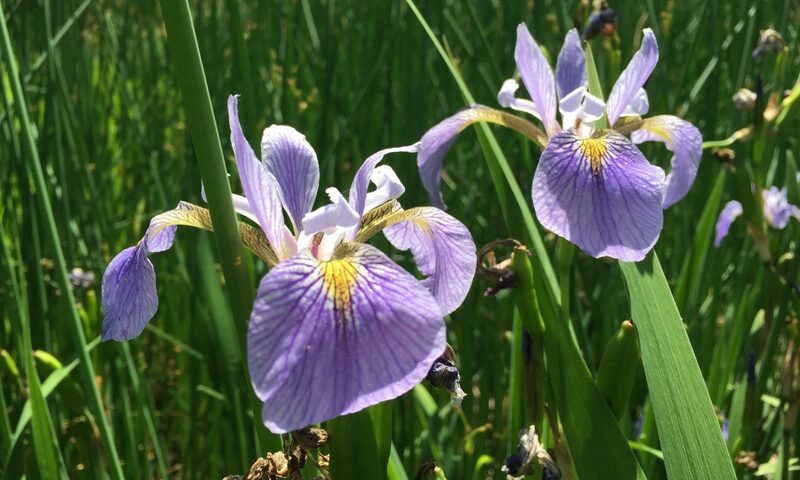 By planting and maintaining native plants, we are being stewards of the insect world, which depend on these plants to survive. And we are being the stewards of the native birds, many of which are dependent on certain insects. By focusing on plants, we are being stewards of the environment as a whole. If we want to protect the environment, we need to focus on plants. Its that easy!